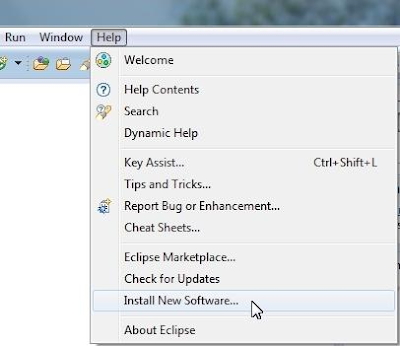 Click the “Help” menu and select “Install New Software ….” . 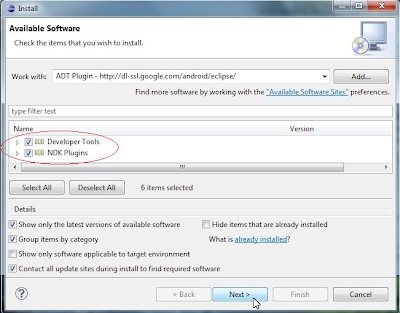 Check “Developer Tools” and “NDK Plugins”, and then click the “Next >” button. 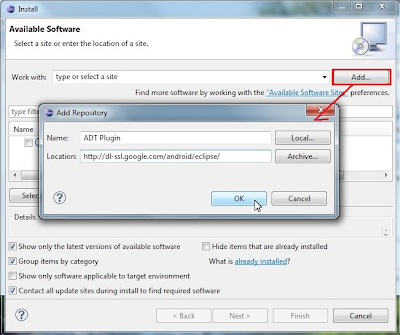 If you have seen window “Install – Install Details”, click the “Next >” button. 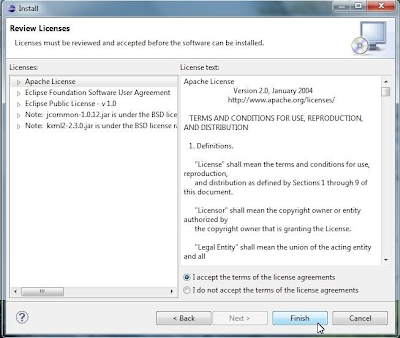 Next put a check list on the “I accept the terms in all of license agreements” to approve the license. Then click the “Finish” button. The next step wait for the finished installation. 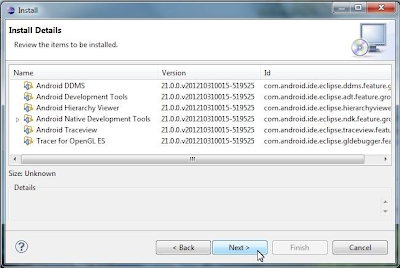 After the installation is complete, click the “Yes” button and restart Eclipse IDE to perform the update. 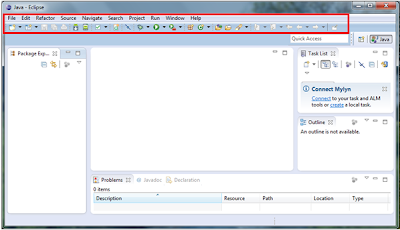 After restart the eclipse IDE.